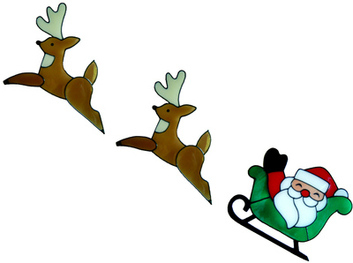 The most popular Christmas decoration - Santa in his sleigh being pulled along by two reindeers. As three separate designs this is perfect for using across large windows or in smaller panes. 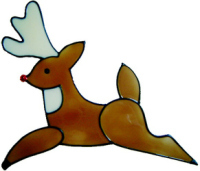 Also available with three reindeers (with Rudolf, of course! ).